Caroline Dowling is business group president at Flex, a $26 billion, industry-leading, Fortune Global 500 electronics manufacturing services provider with more than 200,000 employees and operations in 30 countries. In this role, she leads the Communications and Enterprise Compute Business Group, comprised of an international team focused on design, manufacturing and services providing end-to-end solutions worldwide for the telecom, networking, server, storage, and converged infrastructure markets. She is also responsible for managing Flex’s Global Service & Solutions, a $1 billion business unit. Prior to this role Caroline held several senior executive roles at Flex over the past 16 years including President of NOVO & technical services and SVP of Global business development. The indefatigable Caroline, who came from Millstreet, Co. Cork, is the daughter of a truck driver and stay-at-home mother. Though Caroline left high school early to take care of her new-born daughter, she began taking courses in secretarial work once her daughter was old enough to attend school. These led to a path that would see her emigrate to the U.S. and graduate from Harvard Business School of Advanced Management. She is now responsible for over 90,000 workers and one of the most revered businesswomen in Ireland. 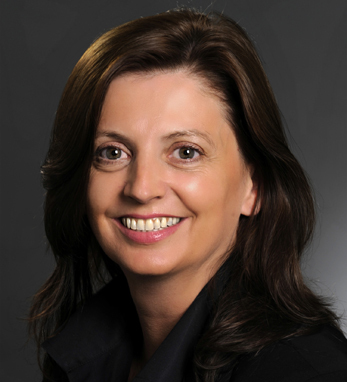 Ms. Dowling joined Flex through the acquisition of The Dii Group, where she held various management roles of increasing responsibility, including vice president of Europe, director of European business and original equipment manufacturer (OEM) manager. In order to change the workplace for the better, she believes that more women need to be at the executive level and in boardrooms.